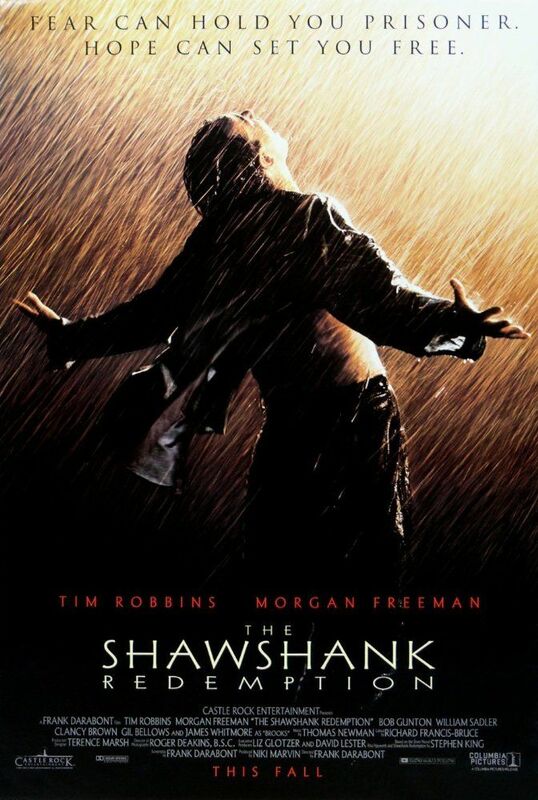 In 1947 Portland, Maine, banker Andy Dufresne is convicted of murdering his wife and her lover, and sentenced to two consecutive life sentences at the Shawshank State Penitentiary. He is befriended by contraband smuggler, Ellis "Red" Redding, an inmate serving a life sentence. Red procures a rock hammer, and later a large poster of Rita Hayworth for Andy. Working in the prison laundry, Andy is regularly assaulted by "the Sisters" and their leader, Bogs. In 1949, Andy overhears the captain of the guards, Byron Hadley, complaining about being taxed on an inheritance and offers to help him shelter the money legally. After an assault by the Sisters nearly kills Andy, Hadley beats Bogs severely. Bogs is then transferred to another prison. Warden Samuel Norton meets Andy and reassigns him to the prison library to assist elderly inmate Brooks Hatlen. Andy's new job is a pretext for him to begin managing financial matters for the prison employees. As time passes, the warden begins using him to handle matters for himself and variety of people, including guards from other prisons. Andy begins writing weekly letters to the state legislature requesting funds to improve the prison's decaying library. Read more on Wikipedia.